The Japanese Sweets Clay Mold by PADICO Japan is ideal for making detailed various types of Japanese Cakes called “Wagashi”. 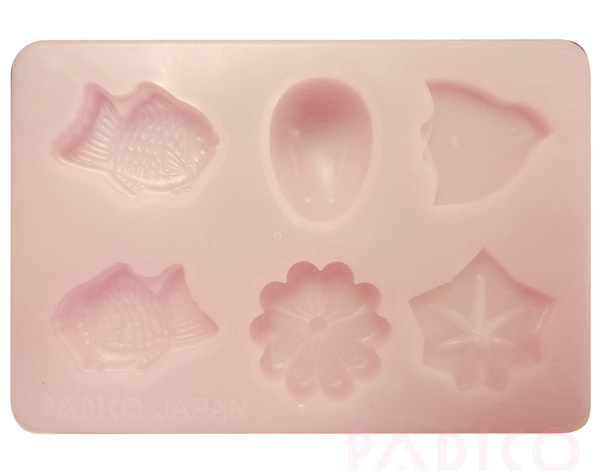 You can make fish, bird, maple leaf and flower shapes with this sweets mould. It is recommended to use Vaseline or baby lotion to grease the molds if you are using clay that tends to stick or has a stickier than usual texture. Please note, the moulds are made of plastic and not silicon. Therefore, the mold is slightly bendable however it is not as flexible as a silicon mould.